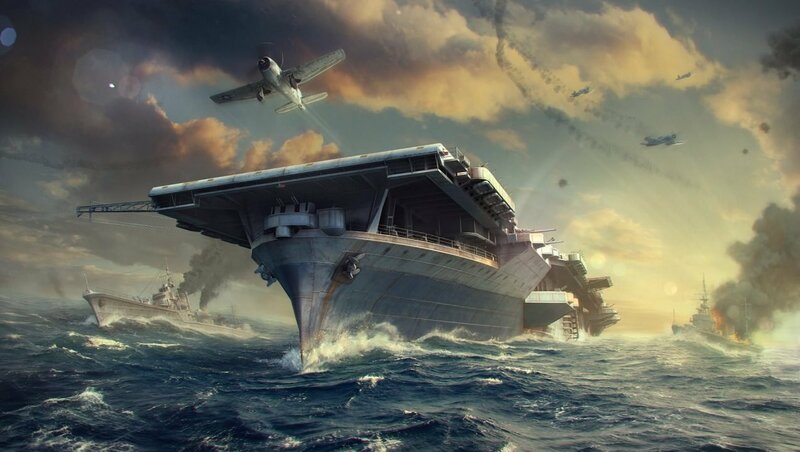 After extensive beta testing and fan interaction, Wargaming, creators of the immensely popular free online game World of Warships, have released an update which overhauls aircraft carriers in the game. Previously, aircraft carriers played more like slow and strategic support vehicles with more minor control over their abilities and weapons. It was a real-time strategy element blended into an action-packed game that offered players an entirely different avenue of sea warfare. Yet, it also created a skill gap that Wargaming must have found unbalanced. The rework offers players more accessible and action-based gameplay and gives players direct control over their air squadrons. Wargaming hopes that the more interactive gameplay will be better at immersing the players in the action while still providing strategic and satisfying gameplay. Furthermore, in celebration of the Lunar New Year, World of Warships has been updated with new earnable camouflages for many of the game’s ships, including the Anshan, Loyang and more. Players can now dock their ships at the newly decorated Dragon Port, which sports dragons, fireworks, streamers, and more scattered around the port.